India has been sought by travelers since the advent of time. It’s a remarkable country, one that is bound to leave a traveler changed by the experience. And exploring solo is a great way to do it.The number of solo female travelers in India are ever rising. 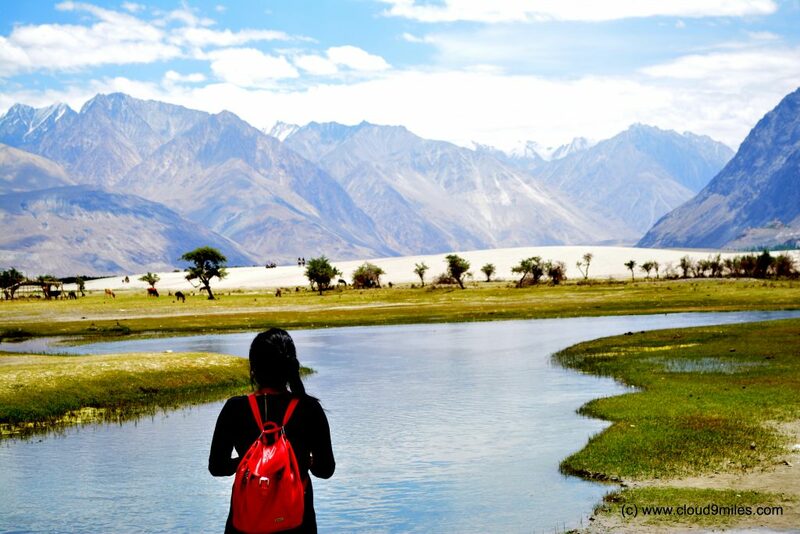 Here is a list of tried and tested 10 awesome destinations in India for solo female travelers. The beautiful Lake City in Rajasthan, Udaipurtops the list. It is one of the top places for solo women travelers in India. A fairytale like setting, the town has a handful of exquisite palaces, temples, lakes, delicious food, amazing shopping and some of the friendliest people. What I absolutely loved here was shopping. Beautiful handcrafted clothes, jewellery, purses and so much delight, you will have a great time. Why it’s great for solo female travelers: Great sights, amazing shopping and good housing at nominal prices. One of the best places to visit in India, Ladakh is more of a holy grail to travelers in India. Of late, it is attracting more and more of solo travelers and specially the women. I absolutely loved exploring the challenging topography of high passes, glacial lakes, ancient monasteries, cold desert, spots of green and much more.You must not miss on camping, trekking, visiting the monasteries and indulging in adventures. Why it’s great for solo female travelers:The amazing homestays, adventure, and the culture. Lush and beautiful, Shillong is the capital of the Meghalaya, the abode of clouds. More and more solo female travelers make way for the awesome town. Picturesque in every way, Shillong in North East India has a number of thrilling adventures to boast about. I spent days exploring scenic waterfalls, living roots bridges, beautiful communities, pictorial trails and the popular landmarks. Why it’s great for solo female travelers:The matrilineal society here gives an upper edge to safe travels for women. Nainital is one of the most beautiful hill stations in India. Nestled in Uttarakhand, Nainital is one of the awesome destinations in India for solo women travelers. Start with a quick visit to Naina Devi Temple, one of the 51 Shakti Peethas in India.Naina Lake here offers boating as well as yachting. Trek up to Snow View, Dorothy’s peak, etc.I absolutely loved my walks through the scenic town, particularly, the markets. Why it’s great for solo female travelers: The towncelebrates the power of Shakti and it’s very safe. The forlorn ruins of Vijayanagara Kingdom, Hampi is the perfect place for solo female travelers in India. The UNESCO world heritage site is still majestic, through time has ravaged its glory. The haunting beauty is perfect for self-introspection and to get away from cities. Explore the ruins, you can still see brilliant architecture and craftsmanship. Interact with locals, they are very welcoming. Why it’s great for solo female travelers: Peace, heritage, history, weekend getaway, and budget tours. One of the places one must visit once in a lifetime, Varanasi has recently become one of thebest destinations for sole female travelers in India. Snuggled on the banks of the River Ganga, Varanasi is a breathtaking experience. Attend the evening Ganga Aarti, it’s a spectacular worship of the River Goddess. Take a boat ride in evening and visit all the temples nearby. Why it’s great for solo female travelers: Everyone is welcome to the holy ghats of River Ganga. Kerala is one of the best places to travel in India. God’s Own Country is very welcoming for solo travelers and especially the women. Kovalam, the beach town is perfect for a vacation. The shores are beautiful, the weather perfect and its very safe. Sunbathe on the sands, cool down in the waters, grab mouthwatering treats or get Ayurvedic massages, you are sure to have a great time. Why it’s great for solo female travelers: Seafood, Ayurveda, meditation, watersports, etc. Rishikesh in Uttarakhand is one of the places to definitely explore if you are traveling solo and more if you are a women. Settled in the lap of Himalayas along the River Ganga, here you can indulge in adventure or discovering yourself. There are camps offering adventures and ashrams offering yoga and meditation. Whatever you decide on, it will amazing and one you cherish for a long time. Why it’s great for solo female travelers: River rafting, camping, yoga, trekking, etc. One of the best places to travel in India, Pondicherry is awesome for solo traveling. The beach town was one of the colonial outposts of the French and retains its culture. Cycle around the town or enjoy scenic strolls. The food is a delight so is shopping. Spend time on the beach or in the Auroville ashrams where you have many pursuits. Why it’s great for solo female travelers: Tasty French treats, cycle tours, yoga, meditation, beaches, markets, and workshops. Sikkim is truly one of the safest destinations for solo female travelers in India. The north-eastern state enjoys the view of Mt. Kanchendzonga. There are amazing sights, adventures and experiences. Gangtok, the capital city has budget friendly accommodation, tours, and nightlife. From ancient monasteries, vibrant markets, scenic towns to exhilarating activities, there is a lot to do. Why it’s great for solo female travelers: Safe and very exciting to explore. You can also check out Top Reasons to Travel Solo in India. Akansha Negi frequently writes at India Travel Blog by Indian Holiday Pvt. Ltd. She shares her passion of travel and love for various Indian destinations. While planning your holidays in India, browse through her write-ups. This is a very informative post. Thanks for sharing this blog. Really Amazing destination. A great list for me because I’m a solo lady traveler. I have already visited Udaipur, Sikkim and Hampi. And have a plan to visit Varanasi in next year.